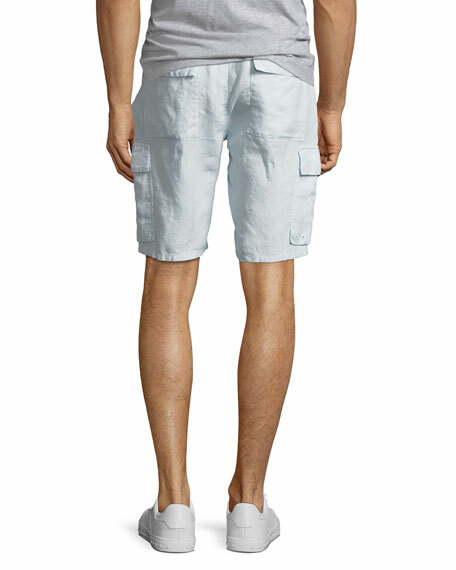 Vince track shorts with cargo pockets. 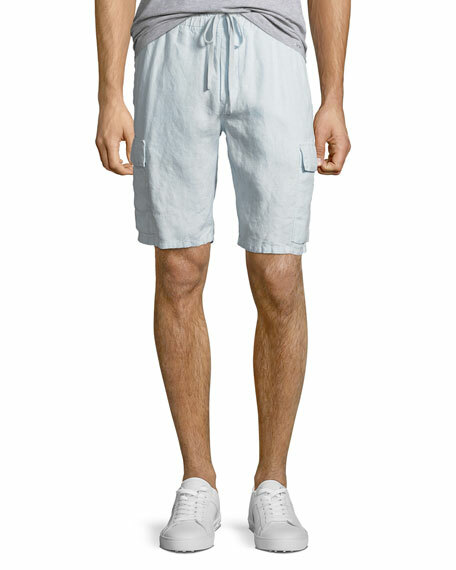 Neil Barrett Arrow Bolt Graphic Swim Trunks. Drawstring elastic waistband. Side zip splash pockets. Hem hits above knee. Pull-on style.